Although I’m not a huge fan of the weather in February, I am a massive fan of Valentine’s Day! I just love LOVE! The sweet heart-shaped decorations, watching children exchange Valentine’s cards, and getting a lovely bouquet of flowers from my man…I love it all. Valentine’s Day presents a great opportunity to sing about love, and to discuss other emotions as well. 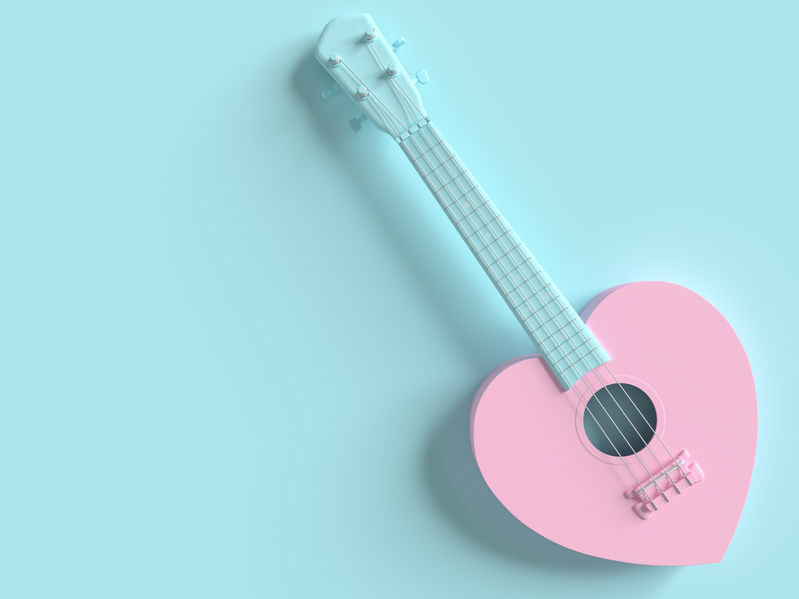 Emotions can be such a challenging topic for many children, but set some memorable lyrics to a catchy melody, and talking about feelings can actually be fun! Read on to learn about two such songs for addressing emotions. “Love, Love, Love” is a great introduction to the feeling of love, and offers many opportunities to practice that L sound. This song explains that our family loves us, and we love them too! “Love, Love, Love” opens up a dialog for discussions about what it feels like to receive love and to give love. I like to pair visuals with “Love, Love, Love” so that my clients and students can more clearly make the cognitive connections between the lyrics and the meaning of the words. Once my clients and students have a solid understanding of love, I like to brainstorm and write lyrics about how they feel and show love. There are a number of adaptations that can be made to this song, and for that reason, I’ve been able to put it to use with a wide variety of clients and students. I have a slight obsession with the song “Feelings in My Heart”. It is SO helpful when discussing emotions and the body language that accompanies it. I like to add visuals with this song as well, as many of my clients and students really benefit from them. Many clients and students are familiar with different systems to help them manage their emotions, such as the Zones of Regulation. “Feelings in My Heart” presents an opportunity for children to practice identifying what “zone” each emotion is in. For more challenging emotions, such as anger or sadness, I like to include a few additional lyrics that I customize for (or with) the child to incorporate coping skills that will help them get through tough moments. Emotions add dimension and color to our lives, but can be challenging to explain and identify. Valentine’s Day provides a seasonally appropriate opportunity to discuss love and other emotions that we all experience. Tell me in the comments below: which emotion is the most challenging for your clients or students to understand? You can listen to all of these songs in their entirety right here. Lyrics, chords, mp3, and instrumental track for these original songs are available for download. As is the case for all Listen & Learn Music creations, we invite you to adapt this song as needed to best serve your students and/or clients.